Go to the seminar room on the 3rd floor. You can buy drinks and sandwiches at the Café next door to the seminar room to supplement the festive treats, or bring your own! Step-free access is available immediately to the right of the main entrance. 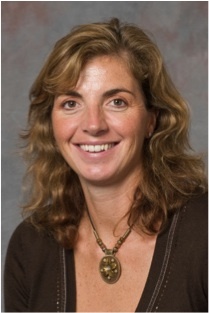 To carry on in our series “Who am I – what am I doing?”, our inspiring speaker is Clare Elwell, Professor of Medical Physics in the Department of Medical Physics and Bioengineering at UCL. After talking a bit about herself and her career path, Clare will tell us a bit about her research into novel optical systems for monitoring and imaging the human body. Clare Elwell is a Professor of Medical Physics in the Department of Medical Physics and Bioengineering at UCL. She leads the Near Infrared Spectroscopy (NIRS) research group developing novel optical systems for monitoring and imaging the human body, and in particular the brain. Her research projects include studies of autism, acute brain injury in adults, children and infants, sports performance, migraine, malaria and depression. Most recently she has used NIRS to perform the first functional brain imaging of infants in Africa as part of a project to investigate the effects of malnutrition on brain development in infants in rural Gambia. Her research is supported by funding from the EPSRC, MRC, Wellcome Trust, Bill and Melinda Gates Foundation and industrial collaborators Hamamatsu Photonics and Hitachi Medical Systems. Clare has contributed to broad range of public engagement of science activities including exhibits at the Royal Society Summer Science Exhibition, British Science Festival and Design Council Exhibition, talks at the House of Commons, Royal Institution, Institute of Physics, Institute of Education and Science Museum and filming for BBC’s Horizon and Bang Goes the Theory. She was awarded the 2012 UCL Provosts Prize for Public Engagement, and more recently an MRC Science Suffragette Award. Clare has worked part time since the birth of her first child in 1997. She became pregnant whilst on an MRC Fellowship and after her maternity leave she returned to work part time (0.6FTE). Whilst on extended maternity leave with her second child she was awarded a lectureship, taking up the post on a continued part time status. She was promoted to Senior Lecturer in 2005 and increased her hours to 0.8FTE, which she still works today. She was promoted to Professor in 2008. This entry was posted in Events, Who am I - what am I doing? and tagged Clare Elwell. Bookmark the permalink. Is this in room 305 as before?